I don’t really want this blog to become the “dead people’s blog”, but I feel I should acknowledge and pay respect to one of the last remaining legend of Italian Cinema. 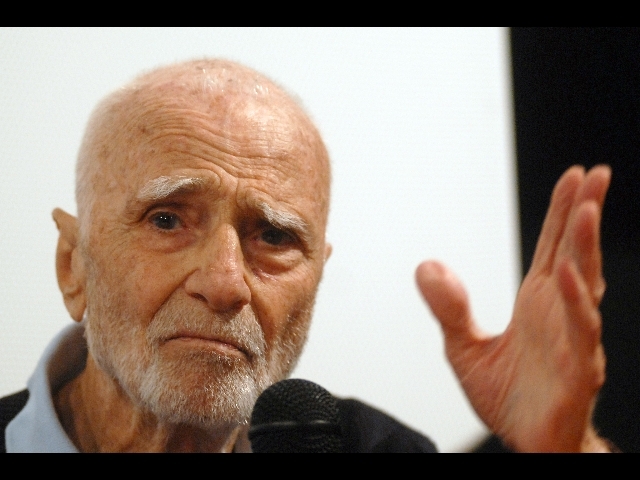 Film writer and director Mario Monicelli committed suicide, jumping out of the window of a room in a hospital where he was receiving treatment for a terminal prostate cancer. He was 95. During his active life, he was always in control… And so he decided to be in control of his death too. I was lucky enough to be able to see a lot of his work back in film school. Sadly most of his movies today are not available in their English subtitled versions, so either you speak Italian or you’ll need to find a way to download them somewhere on web (www.allsubs.org, www.opensubtitles.org for example), or just hope for a re-run in somewhere. Monicelli wrote and directed over 70 films, but I decided to pick up 3 of them out of all the ones he directed. These are in my view, the ones you should look out if you can catch them somewhere. I soliti Ignoti (Persons Unknown. Aka “Bid Deal on Madonna Street”). 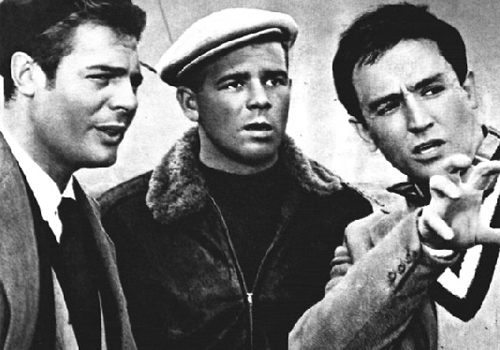 Made in 1958, this is probably the first of the great heist movies of all time. So many directors got inspired by this film, including French director Louis Malle with Crackers in 1986, Woody Allen with Small Time Crooks, George Clooney with Welcome to Colliwood, and even Steve Soderbergh with “Ocean’s 11”. (and possibly many many others). 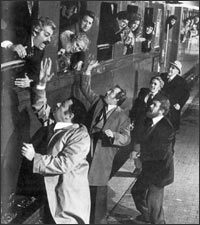 It i s also considered the one that started the “commedia all’Italiana” genre drawing from the neo realism and driven by a strong screenplay.The genre rose to prominence in the ‘50s, giving notoriety to a long string of highly talented actors like Totò, Alberto Sordi, Vittorio Gassman, and Ugo Tognazzi, just to name a few. This is also the first time in Italian comedy where we witness the death of a character. However this doesn’t take anything away from the fact that this is still one of the funniest Italian film ever made. It is the fusion between drama and comedy that will become Monicelli’s trademark. The film was so succesful that 2 more sequels were made (in 1959 and in 1985). It also received an Academy Award nomination for best foreign film in 1958. La grande guerra (The Great War). Made in 1959 and starring Alberto Sordi (in one of his best performances ever!) and Vittorio Gassman this is still considered among the masterpieces of Italian cinema. 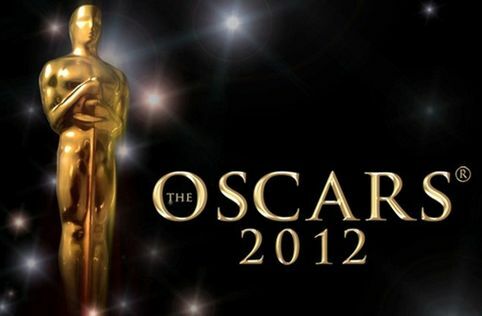 It won the Venice Festival and was nominated for an Academy Award. 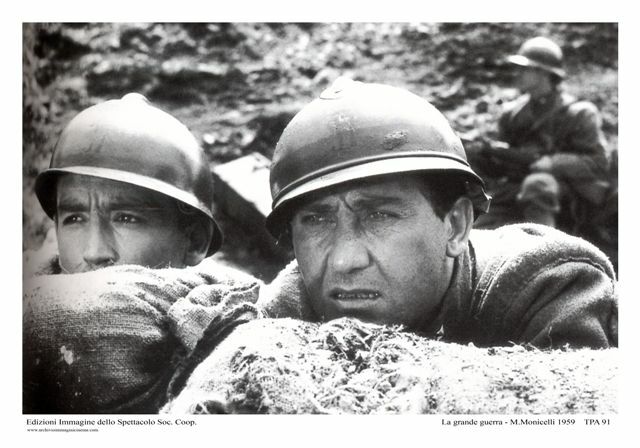 It perfectly encapsulate the type of cinema Monicelli was best at, mixing tragedy with comedy as it depicts the story of a group of Italians during the first World War using a style which is both realistic and yet at the same time romantic. It is a wonderful film, very funny in places and incredibly moving at the same time. It’s the type of film that Roberto Benigni was certainly inspired by when he made “Life is Beautiful” (though his film was a lot more forced and contrived). Amici Miei (My Friends). The film originally belonged to Pietro Germi who had written it and was going to direct it. But he fell ill the project was handed over to Monicelli who directed it and edited it. When the film was released in 1975, a year later Germi’s death, its opening credits rea: “A film by Pietro Germi”, Directed by Mario Monicelli. Still today these are is some of the most quoted films in Italy and it’s quite surprising that in an age of remakes and sequels, nobody has yet remade this one in English… Hey Hollywood, I’m giving you a tip!! This is a beautiful film about friendship, seen (typically for a Monicelli film) from a rather grittier and bleaker point of view. It tells the story of four middle-aged friends in Florence who organize together idle pranks (called zingarate, “gypsy shenanigans”) in a continuous strife to prolong childhood during the adult life. The plot is mostly composed by the elaborate practical jokes (some of them are truly memorable, especially in the second film) organized by the friends, including pretending to be mafia mobs committing “criminal acts” against a very annoying and not very likable old pensioner.